Home Tutorials PC My new USB mouse not working. What to do? Recently i bought new USB mouse and vendor says that the mouse have no driver for easy setup. Windows recognized it but it’s just not working. What to do? The solution is very easy if you know where to look. Open Device manager: My Computer / Control Panel / System / Hardware / Device Manager. 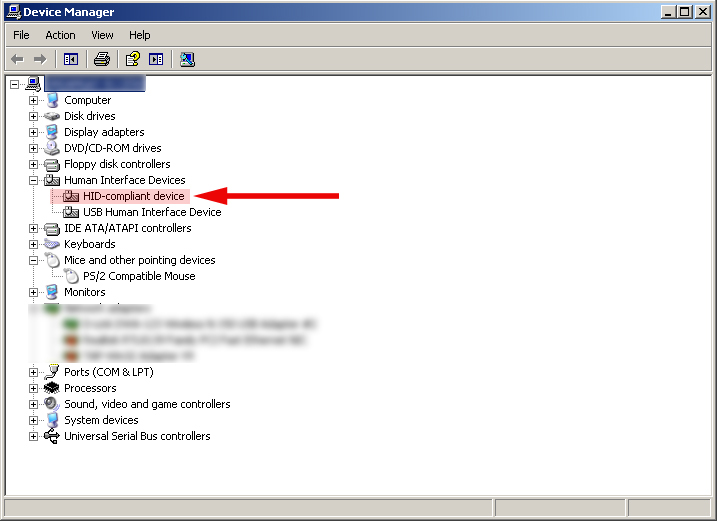 Your mouse go in “Device Manager” as “HID-compliant device” (Figure – 1). 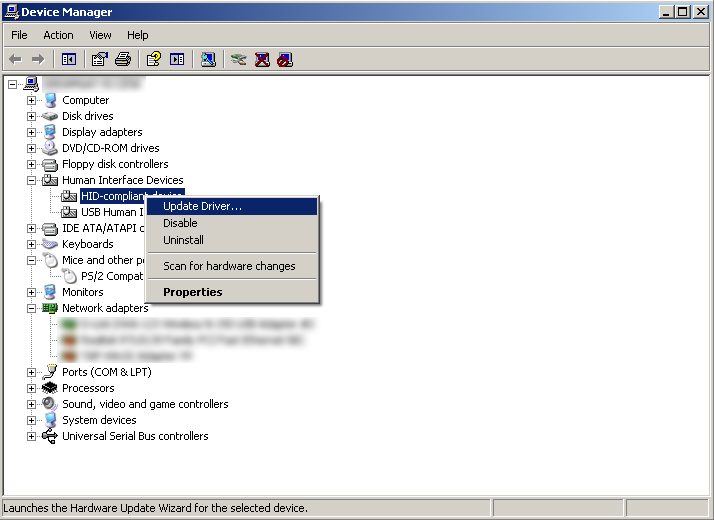 With your older mouse, hit right button and choose “Update Driver…” from the menu (Figure – 2). 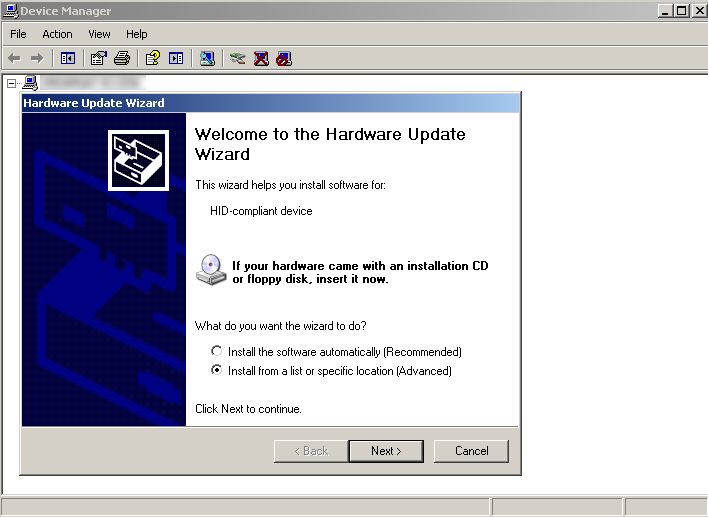 “Hardware Update Wizard” will pop out. 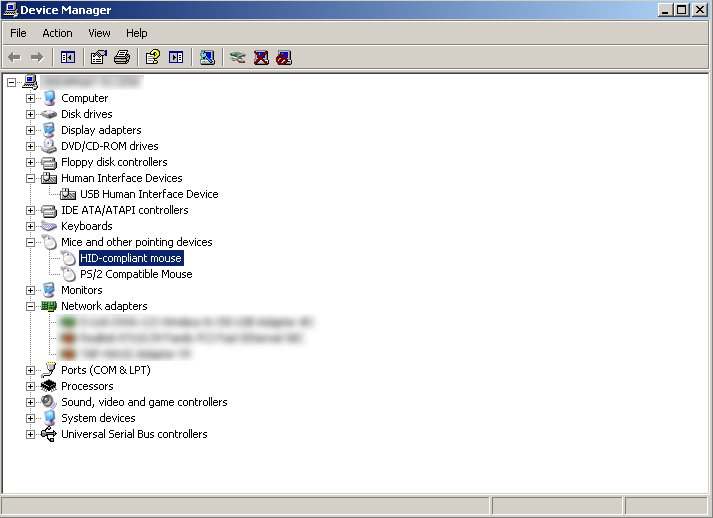 Choose “Install from a list or specific location (Advanced)” and click Next. (Figure – 3). Next choose “Don’t search. 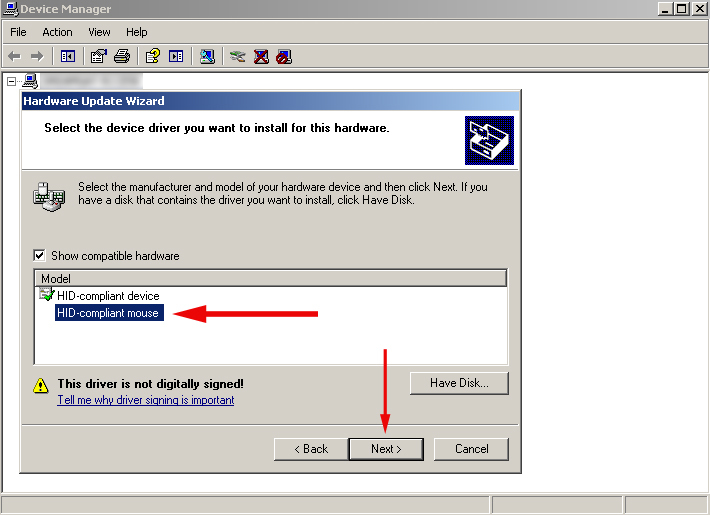 I will choose the driver to install” and click Next (Figure – 4). Next click on “HID-compliant mouse” and then hit Next (Figure – 5). Voila, your mouse will show on “Divice Manager” at “Mice and other pointing devices” like “HID-compliant mouse” (Figure – 6). From now on your mouse will start working like a charm.